And as Jose nears the exit door, we will step away from duty ourselves. It's been a mammoth day of live texts from 09:00 GMT. We're starting at 10:00 GMT on Sunday to take in games featuring Arsenal, Manchester City and Liverpool. Remi Garde will also make his bow as Aston Villa manager. Thanks for all your tweets tonight, see you in the morning. Sleep well. The Mirror: "Slaven Bilic reckons big No.9s are back in fashion thanks to Andy Carroll and Romelu Lukaku but his was outshone by Everton's. Carroll is better in the air but Lukaku has the better all-round game." Daily Mail: "Lukaku's unerring finish illustrated why the Toffees will have a battle on their hands to keep him next summer. Europe's top clubs are monitoring the former Chelsea striker; Juventus and Paris Saint Germain among them. Everton will not listen to offers under £45m. More afternoons like this and the price-tag will go north." The Guardian: "Everton will still harbour some genuine thoughts from here of making a play for that suddenly rather available fourth place. They have a high-class first XI, no midweek European distractions and a manger who bristles with ambition." "Our concentration levels were very high"
Everton manager Roberto Martinez: "Once we got to grips with the intensity West Ham play with, I thought we were very strong, especially in the second half. "Our concentration levels were very high once we had conceded, and we worked very hard as a unit defensively. "We had quality going forward too and it seemed the winning goal would come but we just could not find the final pass." "We needed that kind of positive reaction"
West Ham boss Slaven Bilic: "We are never happy with one point, especially at home, but I was happy with the performance. "We needed that kind of positive reaction after what happened last week at Watford. "Everton deserved a point but in my opinion we were slightly better than them." "We have to wait for the scan"
West Ham boss Slaven Bilic admits he faces a nervous wait on the fitness of Dimitri Payet after he hobbled off with an injured ankle in the second half against Everton. Bilic said: "We lost Payet because of a bad tackle. We can only hope that he will be OK and it is not going to be long-term, but we have to wait for the scan." To make matters worse, Payet's replacement Enner Valencia was also forced off by an ankle injury soon afterwards. Dimitri Payet was West Ham's most creative player before he went off injured after 50 minutes. The three chances he made against Everton mean no other Premier League player has created more than him in 2015-16. "That is my game, going in behind and trying to be clinical in a one-on-one," Everton striker Romelu Lukaku said when asked about his goal. "It was a great ball from Gerard Deulofeu and the finish was good. "I am happy but I play to win games and I am disappointed not to win." BBC Sport's Chris Bevan voted Everton forward Gerard Deulofeu as his man of the match, after his sparkling attacking display. Bevan wrote: "It was Deulofeu's perfectly-weighted through ball that released Romelu Lukaku to round Adrian and score Everton's equaliser, and the Spaniard's skill and desire to run at defenders lit up the game." Do you agree? Get involved via #MOTD or post your comment on the Match of the Day facebook page. Romelu Lukaku has now scored seven goals in seven games against West Ham for Everton (five in the Premier League, two in the FA Cup). Lukaku’s goal at Upton Park on Saturday also equalled the most number of goals he has scored against a single opponent in the Premier League; he has also scored five against Newcastle and Liverpool. "Imagine what's in Andy Carroll's mind," says Match of the Day commentator Alan Green as a set-piece delivery is waster. A look at the touch maps of Carroll (left) and Romelu Lukaku (right) is interesting as both men played through the middle. We can see Lukaku's 38 touches are more focused as the Blues keep him central and close to the opposition box. Carroll only had the ball 21 times in 87 minutes on the field and as you can see, his contribution was more spread. Get it down the right! Everton's biggest threat came when they got Gerard Deulofeu (number 19) on the ball but West Ham also focused their attacks down their right, through Victor Moses (20). Moses was the Hammers' most advanced player and 43% of their attacks went down the right wing compared to 29% down the left. Daily Mail: "Swansea had 75 per cent of the ball and much of it inside Norwich’s half, but made it count not a jot, with the home side having the best chances." Telegraph: "This defeat was particularly alarming for Swansea. The defending from Garry Monk’s players was poor, and Bafetimbi Gomis appears to have lost confidence." Mirror: "Swansea's Jefferson Montero was on fire at the start of the season, taking opposing fullbacks to the cleaners seemingly at will. "Since then he's gone off the boil big time and his confidence looks in shreds.He needs to get his mojo back quickly if Swansea want to stay in the top flight." It was a match short on cutting edge but when Norwich eventually broke the deadlock, it could hardly have come in more simple fashion. The corner was swung in from the right, Dieumerci Mbokani knocked it down and Jonny Howson rifled in from close range. "It was one of those where it was a good corner, they worked it well," says Ian Wright on Match of the Day. The goals have dried up for Swansea striker Bafetimbi Gomis. He scored four in four in August but hasn't found the net since, and this graphic may help to explain why. Despite playing as a lone striker, Gomis was forced to operate predominantly in deep-lying areas, retreating towards the centre of the pitch in search of possession and only rarely managing to get into the penalty box. Gomis had five shots but they were almost all from long range and hence none of them found the target. Swansea City manager Garry Monk: "It's very frustrating. We had total control up until the goal, but unfortunately one lapse of concentration has cost us dearly again and it's been the story of the last couple of weeks. "It was a difficult game, but our intention was right. We knew we might only get one or two chances. But we got caught with a sucker punch against the run of play. We totally dominated Norwich with the ball and didn't allow them anything other than the goal. "We have work to do now. We have to look and assess where we are." Norwich City manager Alex Neil: "It certainly wasn't one of our best performances of the season, but we created the best chances in the game and kept it tight at the back. "We changed our style, which I felt was necessary because we haven't been keeping enough clean sheets. I thought the lads responded well to that, though conceding possession at home is not something we are used to. "I'm really delighted for the players. Our confidence has never been in question, but we needed to ensure we got points on the board." I'm sorry to interrupt the Norwich game briefly but with a headline like 'Lionel Jessie', it felt worthwhile. The Daiy Star Sunday leads on a warning from England manager Roy Hodgson to Danny Welbeck and Daniel Sturridge. That story can also befound on this website,with less use of the word "crock". More papers to come shortly. BBC Sport's James Gheerbrant chose Norwich's Jonny Howson as man of the match in his report after the midfielder scored the only goal of the game. Howson also set up a number of good chances with his wicked delivery from set pieces. Do you agree? Get involved via#MOTDor post on theMatch of the Day Facebook page. You can also text on81111in the UK only. Norwich City recorded just 32.8% possession in their win over Swansea. That is their lowest in any home game this season by some margin. Are you still with us? It's getting very late. A coffee and a jig on the spot will wake you up. I've got the morning papers here for you shortly but let's see Norwich do the business after barely touching the ball first. Swansea boss Garry Monk has plenty of things to worry about. Not only is the much-vaunted attacking trio of Jefferson Montero, Andre Ayew and Bafetimbi Gomis struggling, but the Swansea defence is leaking too. The Swans have now conceded 11 goals in their last six matches - with not a shutout in any of them. Daily Mirror: "There was precious little in Sunderland's attacking play today to suggest they can mount a decent fightback up the table. "Boss Sam Allardyce needs to put out a side who will at least have a go – while capitalising on his undoubted organisational abilily. Another great escape is needed." Guardian: "It is a long time, and several managers, since Sunderland fans have derived any sustained pleasure from observing their team in action and sure enough, watching Allardyce’s charges was once again, a somewhat gruelling experience." Yann M'Vila's needless foul blotted what was otherwise a very good display. He broke up play well and played more passes than anyone else in a red and white shirt. As the game went on though, he became less accurate and ended up with a pass-completion rate of 69%. M'Vila gained possession 12 times. That's more than anyone else on the pitch. Southampton manager Ronald Koeman: "I think if we reach European football, it would be like we had won the title. Of course it's possible. We have the experience from last year. But we have potential, we have qualities, in my opinion, we have a squad now to fight for that. Top four? It's maybe too difficult. Qualifying for Europe means maybe seventh place - like last season." Now then. Was this handball? Maya Yoshida turns his back and a header strikes the back of his arm - his tricep. Sam Allardyce thought so. Virgil van Dijk signed for Southampton from Celtic for £11.5m in September. The central defender has two league goals and his impact seems telling. Today, the 24-year-old had 19 duels, winning 73% of them. His display alongside Jose Fonte helped the Saints earn back-to-back clean sheets for the second time this season. You'll see some mental challenges this season. Yann M'Vila will probably make the top five with that effort. Lunacy. I covered this game earlier and felt at around this stage Southampton were shaping for a knockout blow. However, despite the quality they have going forward, Jordy Clasie stood out for me as man of the match. He started many of Southampton's attacks, touching the ball more than any of his team-mates and playing more passes - completing 88%. Sunderland opted for a 4-4-2 system today over the back three they operated in their 6-2 loss at Everton last week. You can see from today's average positions (left) that things look more compact and organised compared to last week (right). Yann M'Vila (21) offered a good shield to the defence until his error cost the home side the game. The question now is, how does Sam Allardyce take this tight setup and still give it some attacking threat? Sunderland made four changes from their 6-2 loss at Everton. Lee Cattermole remains sidelined with injury, while there was a full debut for Duncan Watmore. Southampton just made two changes to the side which beat Bournemouth 2-0. James Ward-Prowse and Maya Yoshida come in. Where next? North. Southampton's mammoth journey. The Guardian: "Bournemouth really did do everything but score. Eddie Howe’s men had 19 shots at goal, 16 corners and six minutes of added time but they could not find a way to beat the Newcastle United goalkeeper, Rob Elliot." Daily Mail: "This was a magnificent performance from a man who has lived his career in various shadows, from Bishop’s Stortford to Accrington Stanley to Newcastle, where typically he has been positioned as the understudy to the understudy." Newcastle Chronicle: "This was a harsh lesson in Premier League football for Bournemouth and Eddie Howe. You simply have to take your chances, as Newcastle well know." Anyone else think Rob Elliot just came across as Britain's nicest footballer? Softly spoken and polite to the point where he could give lessons. Bournemouth manager Eddie Howe: "It was very cruel for us today, we were excellent and controlled the game from start to finish. "The last part of the game we lost belief, but apart from that I'm very pleased with the players. There's a lot of positives in the game, we can't dwell on the defeat. "My job is always important to pick the players up and keep believing. We've been through spells like this before. This is our biggest challenge, we need to make sure we don't lose the faith in what we're doing." Newcastle boss Steve McClaren on Rob Elliot: "Rob was a big doubt and we needed him today. He's been injured and not trained, and I like him. He's a talker and experienced. "We've played better than that, you can't explain football sometimes. We've played far better, created chances and been denied by goalkeepers but this week we had one bit of quality for the goal and the rest of the time we were defending for our lives and relied on our goalkeeper." Of Bournemouth's 19 set-plays, 16 of which were corners, only one reached their target. Can you see it? Yes, the little short corner in the top right-hand corner. Work to do, perhaps, for corner takers Lee Tomlin (24) and Matt Richie (30). Steve McClaren's face got redder and redder as this game evolved. BBC Sport's Alistair Magowan voted Newcastle goalkeeper Rob Elliot as the man of the match, after he made five crucial saves. The effort to deny Dan Gosling from close range was the pick of the bunch, but he also stopped efforts from Josh King and Matt Ritchie. "How Bournemouth are behind I can't quite work out," says Match of the Day commentator Jonathan Pearce. It was their only shot on target but Newcastle's goal was a well-worked move with Georginio Wijnaldum setting up Ayoze Perez for his third goal of the season. As Southampton flew to Sunderland and Newcastle flew to Bournemouth - two massive journeys - I wonder if Ronald Koeman and Steve McClaren waved to one another in the sky. Daily Mail: "It wasn't pretty or exciting, but at least Louis van Gaal will be able to spend the next fortnight savouring a victory, rather than the defeats he suffered against Swansea City and Arsenal prior to previous international breaks this season." Manchester Evening News: "United started the day having created the fewest number of chances of any team in the Premier League. If that's going to carry on, they are going to rely heavily on pieces of individual brilliance like Jesse Lingard's." So Manchester United are 555 minutes without conceding a goal. Even if you do think Louis van Gaal sends half of the Stretford End to sleep that's still impressive. So 555 minutes, that's a stretch. In that amount of time, Wayne Rooney could fly to St Lucia ( 9hrs 10 mins) and probably be off his flight and have enough time to don a straw skirt. Bastian Schweinsteiger posts on Instagram: "Today's win is the perfect birthday gift. All the best, David de Gea." De Gea turned 25 today. That's some finish from Jesse Lingaard. When the Match of the Day pundits just offer gasps rather than words, you know it's good. So then, the key question, is Jesse Lingaard now a trump fantasy football play? He's priced at just £4.5m which is stinking cheap. He played the full 90 today so Louis van Gaal obviously trusts him. Bargain bucket? Just 0.1% of 3.5 million players have selected him. West Brom boss Tony Pulis: "After half-time the game opened up and we got more into it but the first goal is poor from us. It's a great finish. After that I thought we got into the game and the chance [for Saido Berahino] - if there's a guy you want it to drop to then it's Saido. "I'm disappointed for the players - most of my sides don't lack effort and commitment - we've just switched off and been punished. Gareth McAuley [for the red card and penalty] should have stayed on his feet and if the kid scores, the kid scores." Manchester United manager Louis van Gaal: "Everybody knows who has played football that the most difficult way to score is against a very defensive team. The space is only on the wings and we have tried to do that. "The only way you can play against such a defensive, organised team is the way we do it, you need patience. In the second half West Brom are more tired and the chances come. The goal changed the game, we had more space. Then you can see the qualities of Anthony Martial, and we score the second goal out of his actions." Manchester United won, but the performance arguably still fell short of the attacking football the club's fans appear to crave. Despite being at home to a mid-table Premier League side, United registered just three shots on target. Their problem? Too much time was spent passing the ball around outside the West Brom area. Take a look at this heat map and see that the red areas - where play is most focused - aren't really in the penalty areas. A big headed chance for Saido Berahino and briefly, just briefly, I had hope of Tony Pulis throwing his cap. He gripped it but didn't rip it. Hardly... they are the fifth highest scorers this season. West Brom had 31.9% of the ball. That's the lowest haul of any side in the Premier League today. All the focus was on sideways passes. Could Manchester United penetrate? Would there be chants of "attack" from the Stretford End? There were some chants but generally, stand down the doomsayers. For now. "I was devastated Mahrez let Vardy take the penalty as he's in my dream team." You're in luck Alan, we have more fantasy football content to come in this live text. 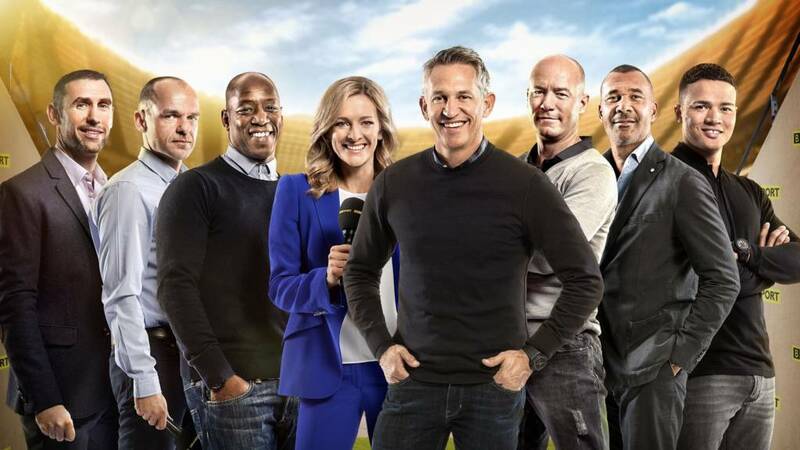 It must be hard for Gary Lineker to not punch the air. He was clearly thrilled at Leicester's win if you look at his Twitter account. Who can blame him. These are dizzy and very much unforeseen heights. Leicester manager Claudio Ranieri: "We could not have imagined this, but it is only November. It's not May. We still have to achieve 40 points first. "Jamie is fantastic. He'll be fit for England. After the goal he continued to run and fight - he's OK.
"It is important to continue the momentum. It's not easy for us, but we are very ambitious." Watford manager Quique Sanchez Flores: "We have to accept that there are accidents in football sometimes. "Huerelho knows he has out support, it is they style of this team. He feels he is guilty, but the rest of us don't feel that way. We are really happy with his performance in general. "We had lots of possession of the ball. Leicester were playing for the counter-attack and we didn't always use the possession of the ball in the right way." I've just noticed something. Match of the Day focused on Jamie Vardy being on the ground in need of treatment. Only players who really are key for England's international hopes tend to get such coverage so it's fair to say the former Fleetwood man has made it. Jamie Vardy is now the first Englishman to score in nine straight Premier League games. If he can score away at Newcastle on 21 November he will equal the record set by Ruud van Nistelrooy during his time at Manchester United in 2003. This fixture brought together two fantasy football surprises at opposite ends of the pitch and boy oh by did they have contrasting days. Who would have thought Heurelho Gomes would be the season's top-scoring keeper to date. And Jamie Vardy, well the secret is out now. The striker is now in 52% of teams. So if over 3.5 million people are playing, his penalty will have at least brought joy to some 1.75 million players. Rejoice. N'Golo Kante lending lifelong support to the saying "if you don't buy a ticket you can't win the raffle." The heatmap shows the combined touches of Leicester pair Jamie Vardy and Riyad Mahrez (left) compared to Watford's Odion Ighalo and Troy Deeney (right) in the second half. Whereas Ighalo and Deeney had a better first half, the second-half performance or Vardy and Mahrez had a greater impact. And so to the King Power Stadium for the latest installment in Leicester's push for the Premier League title and Jamie Vardy's latest installment in showing us he's from another galaxy. Daily Mail: "And so it goes on. The season from hell for Chelsea twists and turns in an ever more-bizarre death spiral. Defeats follows defeat and nothing they can do seems to make the slightest difference." Independent: "After all the intrigue about where the banned manager would watch this game, all that mattered on Saturday was that on the Britannia Stadium pitch Jose Mourinho's team fell to their third straight league defeat." Daily Star: "Jose Mourinho played hide and seek – and his Chelsea side went AWOL too in their seventh Premier League defeat of the season." Xherdan Shaqiri showed his class against Chelsea, producing more key passes (4) than any other Stoke City player. The frustrating thing for Chelsea fans - apart from the result of course - is the fact they did not play that badly. Eden Hazard, out of form for much of the season, was a lively presence throughout, buzzing around all areas of the pitch and making - as the above graphic shows - plenty of successful passes. From those passes, though, his team-mates largely failed to do something productive. A problem that was, perhaps, due to a lack of confidence in front of goal. Some of you have tweeted us about the decision not to award Loic Remy a penalty when he rounded Jack Butland. Joe Evans: Great decision by the ref. Huw Tallon: Tbf fair to Chelsea they have had some shocking luck this season overall! Annie Powell: Goal keeper lunges in & misses ball. Forward jumps to avoid contact & is put off stride. Why is this not a foul? Chelsea goalkeeper Asmir Begovic: "We are behind the manager - you can see that from our performances. We think he is the right man and someone we work hard for. "His spirit and his presence is always there, we wanted to get a result for him." Stoke boss Mark Hughes: "We displayed great character today, all the qualities you need to compete against one of the best teams in Europe. They have world-class players. "We are really delighted. We have beaten them twice in a short period of time. "Chelsea played well today. They are struggling to get positive results but they will turn it around. Maybe they won't go up against sides as committed as we are every week." Marko Arnautovic was greedy there, Stoke had three against two. Bench next week, surely? As you may expect, Stoke's goal threw social media a bone and boy did it bite. One meme of Jose Mourinho supposedly trashing his hotel room was shared prolifically. For three hours from 18:00 GMT the term 'Mourinho' was tweeted over 52,000 times. Great scenes on the Stoke bench. I particularly liked the arms aloft Mark Hughes celebration. No nonsense while other around him dance around like kids after too many sweets. Mark Arnautovic is looking like a rock solid fantasy football play all of a sudden. The Stoke man has 48 points, not bad for just £6m of your £100m budget. With 24 points in just five weeks he's hot. And if you have him in your side well done, only 0.7% of some 3.5 million players have. What did you think of that? A Diego Costa dive? He got up quick enough. Are Chelsea working for Jose? Last week they ran eight kilometres less than Liverpool as a team. That's quite a lot and even more shocking given the fact they had less possession than the Reds. This week, though, saw a change. They matched Stoke, with each side covering 116km. Chelsea's players completed 563 sprints to 485 by the home side. You may have noticed a rather slick polo neck on Ian Wright if you're tuned in. Right after this he's going to double as James Bond. There's a special guest in the Match of the Day studio tonight. This is what I'm talking about. The Premier League trophy. How comfortable is that sofa? How about you tell me the greatest length you've gone to in order to watch Match of the Day? Left your own wedding party? Tweet them to #MOTD. And of course, fire over your views on today's games. This is your chance to vent anger and praise whoever you wish. Southampton fans, are you home yet? Some trek on a Saturday for you lot but your match is third-to-last in the running order so if you're nearing your front door, relax. You can maybe even nip to the local. You deserve it after over 750 miles. If you flew home then shame on you. So here it is... sorry West Ham and Everton fans. Go get a coffee. Want to know the Match of the Day running order? In these modern times presenter Gary Lineker uploads a video on to Facebook each Saturday where he gives you some behind the scenes insight at MOTD and explains how this week's running order was decided. Want to watch it? Of course you do. Click here. Jose Mourinho, if you haven't seen the game and are reading our live text, I must warn you that I may give away the score. Stay with me though for the best tweets, memes, graphics, stats and colour from around the grounds today as we work in sync with the guys in the studio. A second warning Jose. This live text contains at least one meme which pokes fun at your recent form. Apologies in advance. Congratulations on your stadium ban being over. As you lay there on the sofa after a tough Saturday, feel your heart rate. Relaxed? Good. That's how it should be. Now sit back and watch the pain, torment and pulse-racing afternoon these men had. Well, three of them at least.